Did you know that your employer must provide certain types of support for employees who are breastfeeding? What specifically should employers provide according to the law? Check out the summaries below. 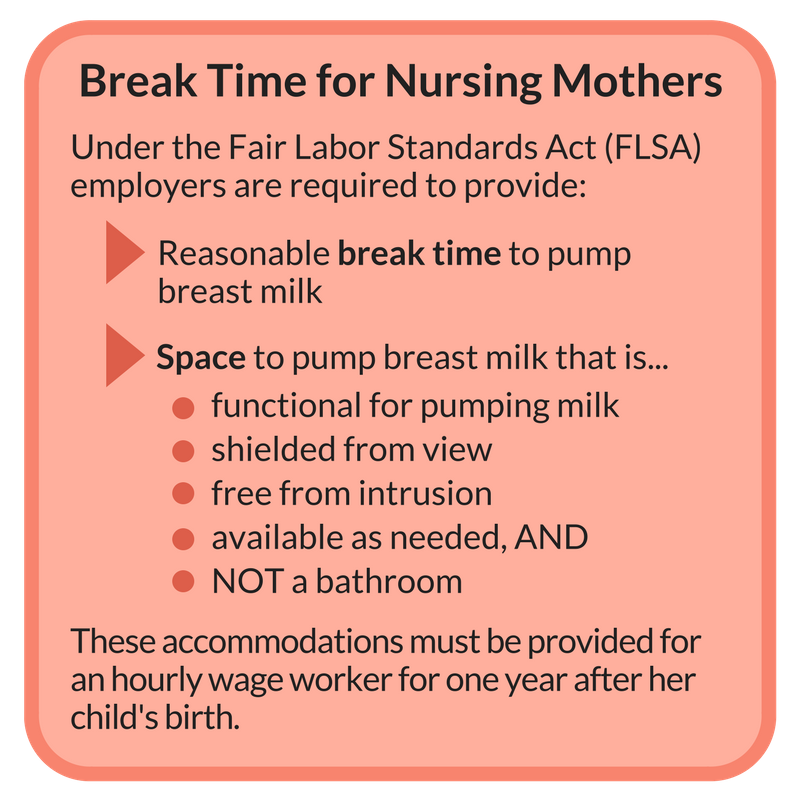 For more information and support for workers who are breastfeeding, check out the resources below. Need help providing breastfeeding support at your workplace? The resources above have some great info for employers as well as individuals. You can also check out WorkWell Wyandotte for more info and assistance. ©2019 Healthy Communities Wyandotte. All Rights Reserved.